The constitution bench of supreme court in its recent judgement in Lalita Kumari vs State of UP case dealt in details about legal status of registration of FIR by police. I will here by discuss the summary of the judgement. The writ petition, under Article 32 of the Constitution, was filed by one Lalita Kumari (minor) through her father, viz., Shri Bhola Kamat for the issuance of a writ of Habeas Corpus or direction(s) of like nature against the respondents herein for the protection of his minor daughter who has been kidnapped. The grievance in the said writ petition is that on 11.05.2008, a written report was submitted by the petitioner before the officer in-charge of the police station concerned who did not take any action on the same. Thereafter, when the Superintendent of Police was moved, an FIR was registered. According to the petitioner, even thereafter, steps were not taken either for apprehending the accused or for the recovery of the minor 3 girl child. Since the petition involved the question of registration of FIR , and there were many divergent opinions of different courts in the matter of registration FIR , the matter was reffered to the constitutional bench of supreme court. The important issue which arises for consideration in the referred matter was whether “a police officer is bound to register a First Information Report (FIR) upon receiving any information relating to commission of a cognizable offence under Section 154 of the Code of Criminal Procedure, 1973(in short ‘the Code’) or the police officer has the power to conduct a “preliminary inquiry” in order to test the veracity of such information before registering the same?” . After hearing senior counsels representing various states and agencies such as CBI and all parties involved the court discussed various sections in detail citing various judgments. 1)The FIR is a pertinent document in the criminal law procedure of our country and its main object from the point of view of the informant is to set the criminal law in motion and from the point of view of the investigating authorities is to obtain information about the alleged criminal activity so as to be able to take suitable steps to trace and to bring to book the guilty. 2)Historical experience has thrown up cases from both the sides where the grievance of the victim/informant of non-registration of valid FIRs as well as that of the accused of being unnecessarily harassed and investigated upon false charges have been found to be correct. Court cited State of Maharashtra vs. Sarangdharsingh Shivdassingh Chavan & Anr. (2011) 1 SCC 577 as example of first case and example of Preeti Gupta vs. State of Jharkhand (2010) 7 SCC 667 related to misuse of IPC. 3)Further court discussed various enactments of Criminal Procedure Code viz CrPC 1861, CrPC 1872, CrPC 1882, CrPC 1898 and CrPC 1973 and opined that A perusal of the above said provisions manifests the legislative intent in both old codes and the new code for compulsory registration of FIR in a case of cognizable offence without conducting any Preliminary Inquiry. 4)Court also discussed the insertion of section 166A in IPC related to provision of punishment to public servant (Police Officer) fails to record any information given to him under 36 Section 154(1) of the Code in relation to cognizable offences punishable under Sections 326A, 326B, 354, 354B, 370, 370A, 376, 376A 376B, 376C, 376D, 376E or Section 509, and observed that insertion of Section 166A in the IPC vide Criminal Law (Amendment) Act 2013, must be read in consonance with the provision and not contrary to it. The insertion of Section 166A was in the light of recent unfortunate occurrence of offences against women. The intention of the legislature in putting forth this amendment was to tighten the already existing provisions to provide enhanced safeguards to women. Therefore, the legislature, after noticing the increasing crimes against women in our country, thought it appropriate to expressly punish the police officers for their failure to register FIRs in these cases. No other meaning than this can be assigned to for the insertion of the same. 5) Supreme court mentioned that the first and foremost principle of interpretation of a statute in every system of interpretation is the literal rule of interpretation. A plain reading of Section 154(1) of the Code provides that any information relating to the commission of a cognizable offence if given orally to an officer-in-charge of a police station shall be reduced into writing by him or under his direction. There is no ambiguity in the language of Section 154(1) of the Code. 6)The use of the word ‘shall’ in the section coupled with the Scheme of the Act lead to the conclusion that the legislators intended that if an information relating to commission of a cognizable offence is given, then it would mandatorily be registered by the officer in-charge of the police station. Reading ‘shall’ as ‘may’, as contended by some counsel, would be against the Scheme of the Code. Section 154 of the Code should be strictly construed and the word ‘shall’ should be given its natural meaning. The golden rule of interpretation can be given a go-by only in cases where the language of the section is ambiguous and/or leads to an absurdity. 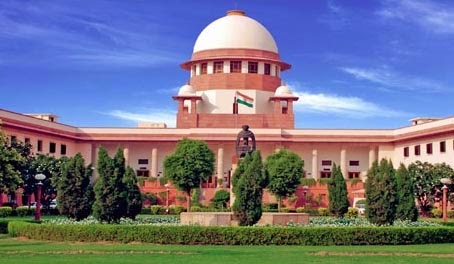 8) The court further observed that If at all, there is any inconsistency in the provisions of Section 154 of the Code and provisions of the Police Act, with regard to the fact as to whether the FIR is to be registered in the FIR book or in the General Diary, the provisions of Section 154 of the Code will prevail and the provisions of the Police Act, (or similar provisions of the respective corresponding Police Act or Rules in other respective States) shall be void to the extent of the repugnancy. Thus, FIR is to be recorded in the FIR Book, as mandated under Section 154 of the Code, and it is not correct to state that information will be first recorded in the General Diary and only after preliminary inquiry, if required, the information will be registered as FIR. However a GD entry may be treated as First information in an appropriate case, where it discloses the commission of a cognizable offence. 9)The legislature has consciously used the expression “information” in Section 154(1) of the Code as against the expression used in Section 41(1)(a) and (g) where the expression used for arresting a person without warrant is “reasonable complaint” or “credible information”. The expression under Section 154(1) of the Code is not qualified by the prefix “reasonable” or “credible”. The non qualification of the word “information” in Section 154(1) unlike in Section 41(1)(a) and (g) of the Code is for the reason that the police officer should not refuse to record any information relating to the commission of a cognizable offence on the ground that he is not satisfied with the reasonableness or credibility of the information. 10) The court referred to the section 2(g) of CrPC and stated that it is clear that inquiry under the Code is relatable to a judicial act and not to the steps taken by the Police which are either investigation after the stage of Section 154 of the Code or termed as ‘Preliminary Inquiry’ and which are prior to the registration of FIR, even though, no entry in the General Diary/Station Diary/Daily Diary has been made. 11)Though there is reference to the term ‘preliminary inquiry’ and ‘inquiry’ under Sections 159 and Sections 202 and 340 of the Code, that is a judicial exercise undertaken by the Court and not by the Police and is not relevant for . 12) Further court referred to the section 4 and section 5 of CrPC and concluded that special provisions contained in the DSPE Act relating to the powers of the CBI are protected under these sections and the powers of the CBI under the DSPE Act to hold preliminary enquiry cannot be equated with the powers of the regular State Police under the Code. 13) a) It is the first step to ‘access to justice’ for a victim. b) It upholds the ‘Rule of Law’ inasmuch as the ordinary person brings forth the commission of a cognizable crime in the knowledge of the State. c) It also facilitates swift investigation and sometimes 73 even prevention of the crime. In both cases, it only effectuates the regime of law. d) It leads to less manipulation in criminal cases and lessens incidents of ‘ante-dates’ FIR or deliberately delayed FIR. 14) As far as argument that, mandatory registration of FIR will lead to arbitrary arrest resulting in violation of article 21 of the constitution, is considered there are many safeguards provided against the arrest. First of all while registration of FIR is mandatory, arrest of the accused immediately on registration of FIR is not at all mandatory. On the other hand, if a police officer misuses his power of arrest, he can be tried and punished under Section 166. As mentioned in Joginder kumar vs State of UP (1994) judgement "There must be some reasonable justification in the opinion of the officer effecting the arrest that such arrest is necessary and justified. Except in heinous offences, an arrest must be avoided if a police officer issues notice to person to attend the Station House and not to leave the Station without permission would do." Moreover, it is also pertinent to mention that an accused person also has a right to apply for “anticipatory bail” under the provisions of Section 438 of the Code if the conditions mentioned therein are satisfied. Thus, in appropriate cases, he can avoid the arrest under that provision by obtaining an order from the Court. Besides, the Code gives power to the police to close a matter both before and after investigation. A police officer can foreclose an FIR before an investigation under Section 157 of the Code, if it appears to him that there is no sufficient ground to investigate the same. 15)The court said that there may be instances where preliminary inquiry may be required owing to the change in genesis and novelty of crimes with the passage of time. One such instance is in the case of allegations relating to medical negligence on the part of doctors. It will be unfair and inequitable to prosecute a medical professional only on the basis of the allegations in the complaint. In such cases police can conduct a sort of preliminary verification or inquiry for the limited purpose of ascertaining as to whether a cognizable offence has been committed. (iii)If the inquiry discloses the commission of a cognizable offence, the FIR must be registered. In cases where preliminary inquiry ends in closing the complaint, a copy of the entry of such closure must be supplied to the first informant forthwith and not later than one week. It must disclose reasons in brief for closing the complaint and not proceeding further. (iv)The police officer cannot avoid his duty of registering offence if cognizable offence is disclosed. Action must be taken against erring officers who do not register the FIR if information received by him discloses a cognizable offence. (e)Cases where there is abnormal delay/laches in initiating criminal prosecution, for example, over 3 months delay in reporting the matter without satisfactorily explaining the reasons for delay. The aforesaid are only illustrations and not exhaustive of all conditions which may warrant preliminary inquiry. Thanks a lot Sir, A very clear and distinct information. We know that Supreme Court is available. By the research of http://paper-writing-service.reviews/ all decisions are being taken in court. Judges are available in court who can decide well. People can get justice in court and criminals get punishment by judges.